When you hear about Energizer, you probably think of AA batteries that are responsible for powering wireless gamepads, or the Energizer Bunny. So you’d be surprised to hear that they’re entering a smartphone market (the lower end of it), with smartphones that are long-lasting and rugged in nature. What’s most interesting is that they’re about to expand their existing range of smartphones. The company has stated that it will showcase no less than 26 handsets at the upcoming MWC. Some of these are likely to be on the market’s feature phone end, but releasing such a big quantity is no less than an innovation. Among the latest releases are a new range of high-end smartphones, a foldable handset, and a 18,000 mAh battery-equipped device. We already anticipated that folding handsets will be showcased, but never imagined one from Energizer. Of course, that’s not as exciting as the 18,000 mAh battery one. iPhone XS has a 2658mAh battery cell. 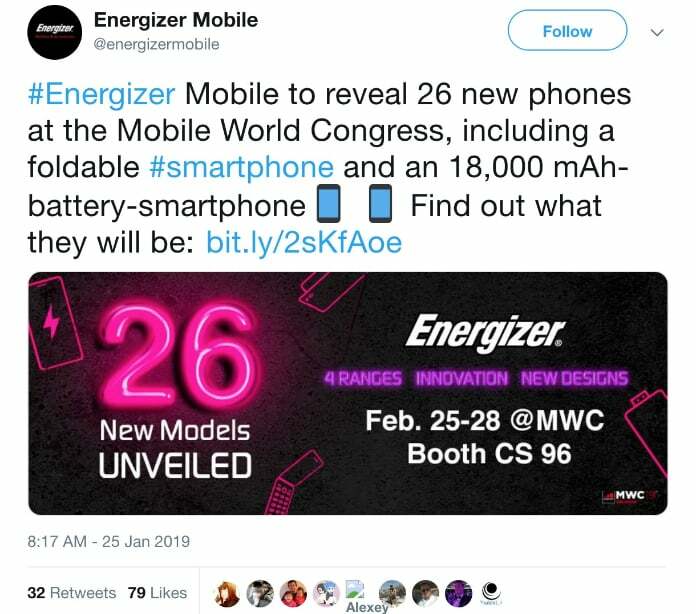 That means Energizer’s handset will give 7x the battery power to the buyer. 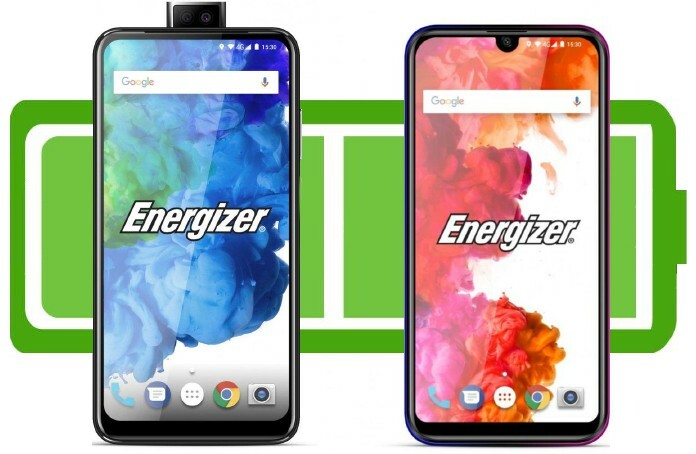 A source has more details on the additional handsets that will be released by Energizer. They are categorized into a waterdrop notch range and a ‘pop’ range. The second range will have a front facing camera that shows up on the phone’s front, rather than residing in a bezel-breaking notch at the back. The specs – which can change without notice – have the MediaTek Helio processors instead of the Qualcomm Snapdragons. The higher in the range is the U620S Pop Energizer Ultimate. It has a 6GB RAM, 128GB storage, and a MediaTek Helio P70 processor. It also boasts a 1080p 6.2-inch screen and a triple-camera array that’s one of its kind. At the lower end of the range is U570S in the Energizer Ultimate range. It has a 720p display that spans to 5.7-inch in size and goes to a Helio A22 processor. RAM is 4GB in total. We’ll know more about these phones when the Mobile World Congress happens in Barcelona in a couple of weeks. Do these phones tempt you, or would you stick with your good old iPhone/Galaxy Note?